Everyone can agree that driving under the influence is a bad decision, but most people probably aren’t aware of just how detrimental a DWI conviction can be for the offender. States across the country are cracking down more each year, and New York is no exception. The “legal limit” is lower than you think. 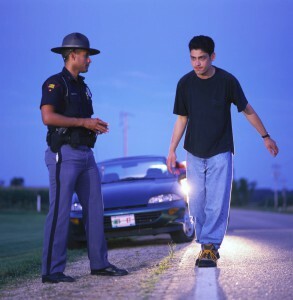 While a BAC of .08 or higher will put you in the DWI category, a BAC of .05-.07 is enough to garner you a DWAI charge. While it typically yields lower fines and penalties than the DWI, it can still result in much the same outcome. While the lowest tier is considered a traffic infraction, repeat offenses can quickly become misdemeanors. Zero Tolerance for minors. A conviction for drivers under 21 with a BAC of .02-.07 will result in a 6-month license suspension along with monetary fees and penalties. An additional underage offense will result in loss of license for one year or until the offender reaches age 21, whichever is longer. Ignition Interlock Devices/“Leandra’s Law.” New York now requires that anyone convicted of felony or misdemeanor drunk driving must install an ignition interlock device on any vehicle they operate. This device tracks the operator’s BAC before the vehicle will start. To combat false reporting, additional random samples will be required during the course of vehicle operation. All expenses of installation and maintenance of the device fall on the convicted offender. If you find yourself on the wrong side of the DWI laws, enlisting a DWI lawyer can be an immense help in managing the situation. Having someone who understands the DWI laws can provide you with a better opportunity against the courts, as well as help you deal with any potential lawsuits you may be facing. 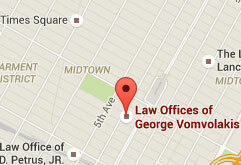 To discuss your case with an experienced New York DWI lawyer contact the offices of George Vomvolakis via e-mail at gvomvolakis@vomlaw.com, by phone at (212) 682-0700 or at his office at 275 Madison Avenue, 35th Floor, New York, NY 10016.